Kyocera announced today that it will partner with two other companies to build Japan’s largest solar farm. Located on the southwestern island of Kyushu, the 70-megawatt solar power plant is the start of an effort to explore opportunities to integrate solar within Japan’s electricity grid. Kyocera estimates the cost of the project at approximately $309 million (¥25 billion). The companies working with Kyocera are IHI Corporation and Mizuho Corporate Bank. Mizuho will finance the development, and IHI will lease the land on which Kyocera will provide the solar modules and design of the site. 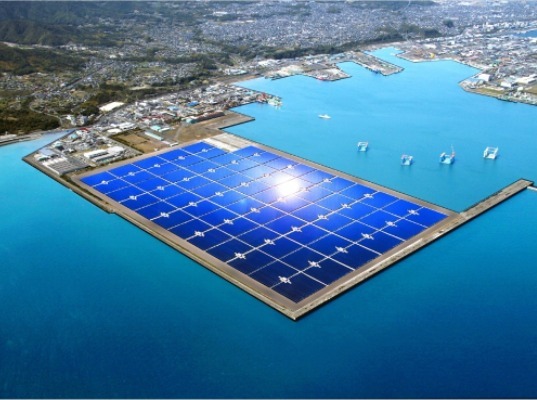 An artist’s rendering of the farm shows 290,000 solar panels arranged on 314 acres of reclaimed land off of the southern city of Kagoshima. 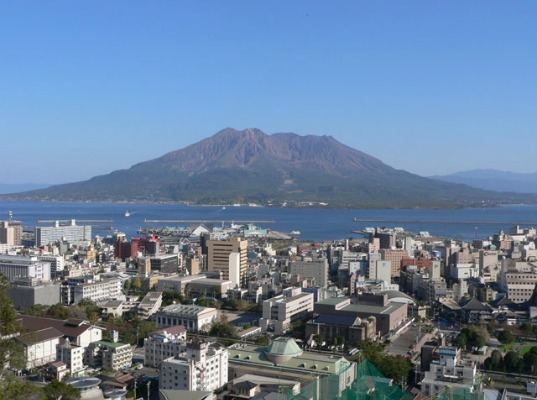 According to Kyocera, the Kagoshima solar farm will generate enough electricity to power 22,000 households while reducing greenhouse gas emissions by 25,000 tons annually. The project will also serve as a business model to explore other large solar power developments that can supply the massive amounts of electricity for which Japanese utilities companies are searching in the wake of the Fukushima Daiichi disaster. Construction is expected to start in July but no completion date has been announced. For Japan’s businesses and residents, the sense of urgency is heightened as the country debates the future of its nuclear energy industry. Last month another nuclear reactor was shut down for maintenance, leaving only one of the nation’s 54 reactors operating. With the last one set for a safety check in May, the Japanese will face another summer of sweltering homes and offices. Meanwhile increased dependence on fossil fuels has caused Japan’s CO2 emissions to surge. Advocates of renewable energy hope solar and wind power can make up the difference where just last year nuclear power supplied one-third of the country’s power. 12/0403_kara.html”>solar power plant is the start of an effort to explore opportunities to integrate solar within Japan’s electricity grid. Kyocera estimates the cost of the project at approximately $309 million (¥25 billion). I am very interested in a project for my country Liberia. Perhaps we can dialog concerning this venture.